I was amused at the way the anti-1080 brigade ducked for cover when one of their cowardly collaborators sought to blackmail our significant baby formula industry sending the government into a tailspin. The holier-than-thou protest group were quick to distance themselves from the unknown perpetrator. No doubt many of these folk are sincere and genuine about their protestations despite the 2011 report of the Commissioner the Environment that found 1080 is the safest treatment we have – all things considered – for dealing with the threat to our native birds by rats, stoats, possums and other pests. Unfortunately “other pests” may include deer and in many cases it’s the hunting fraternity from whence much of the antagonism ferments. I had an experience with the mob mentality back in 2002 when the manager of the Wairarapa division of the Greater Wellington Regional Council, some senior members of his biosecurity department, a vet from Agriquality and I faced up to an angry assemblage in the Upper Hutt Town Hall. Many attendees were deer hunters opposing the council’s intention to drop 1080 pellets by helicopter in the dense bush surrounding Upper Hutt. A Mr John Burrett, an Upper Hutt lawyer, was involved with the group and had called the meeting and demanded that we front up and face the music. It wasn’t a pleasant experience. Mr Burrett and his associates were not shy to express their vehemence towards us, shouting and gesticulating wildly. Any claims we wanted to make were overshadowed by the baying of an audience with little interest in anything but their own point of view. At the conclusion of the meeting we went outside to discover that the tyres on one of the regional council vehicles had been slashed. A couple of weeks later I chaired a meeting in the committee room of the regional council headquarters in Wellington to which we invited Mr. Burrett and his anti-1080 colleagues plus territorial local authority councillors and officers and presented some well researched evidence which showed that 1080 was safe and reliable in the circumstances in which we intended to apply it. We flew in a scientist from Christchurch who gave a dispassionate and balanced opinion which we thought would have allayed all concerns. Mr. Burrett spoke forcefully at the meeting and was obviously not placated. I then invited Mr. Burrett to come to Masterton and talk with the Rural Services and Wairarapa Committee to see if we could reach some amicable arrangement, but by now he was in full flight. He was a formidable foe with a strong command of the English language and he delivered his opinions in an impressive barristorial intonation. He threatened to take out an injunction against the regional council in the High Court, and inferred that incarceration was hardly punishment enough for people of our ilk. I suspect public floggings and the odd hanging would be about the only options open to mollify him. At a subsequent meeting the regional council did offer very reasonable alternatives to the original plan they had devised to rid the bush of pests. They increased the ground baiting area and reduced the territory intended for the aerial 1080 drop at considerable extra cost. The protagonists reluctantly agreed to this compromise which they conceded was an improvement on the original intentions. In fact it was and it wasn’t. The Medical Officer of Health was not impressed. The alternative to aerial 1080 drops is cyanide ground baiting. Cyanide is one of the deadliest of poisons - to date 1080 has killed no one. During the ground baiting operation the regional council staff unearthed a lockable underground bunker that appeared to have been readied for a long stay resident. The Upper Hutt police were alerted and covert inquiries conducted. Incredibly it was determined that the very same Mr Burrett, along with his stepson and his nephew, had built the hideaway intending to kidnap and conceal a prominent Wellington businessman, Mr Bill Trotter, and demand a ransom. So you see ransom demands are not a new weapon in the anti-1080 arsenal. 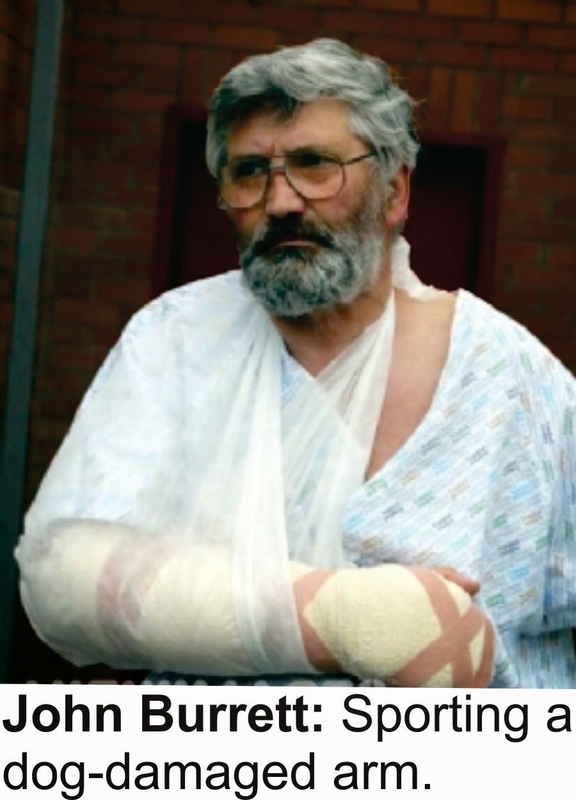 The last I saw of Mr Burrett was on the TV news, dressed in unflattering prison issue apparel, sporting a heavily bandaged arm due to injuries caused by a police dog during his apprehension by the gendarmerie. From memory he was jailed for seven years and was then to be deported. The word picture painted strongly inferred that he was not universally admired. But here is the irony. If the original aerial 1080 operation had gone ahead as planned, the area around the bunker would have been out of bounds and the secret hiding place would never have been discovered. It’s absolutely conclusive. There is a God.